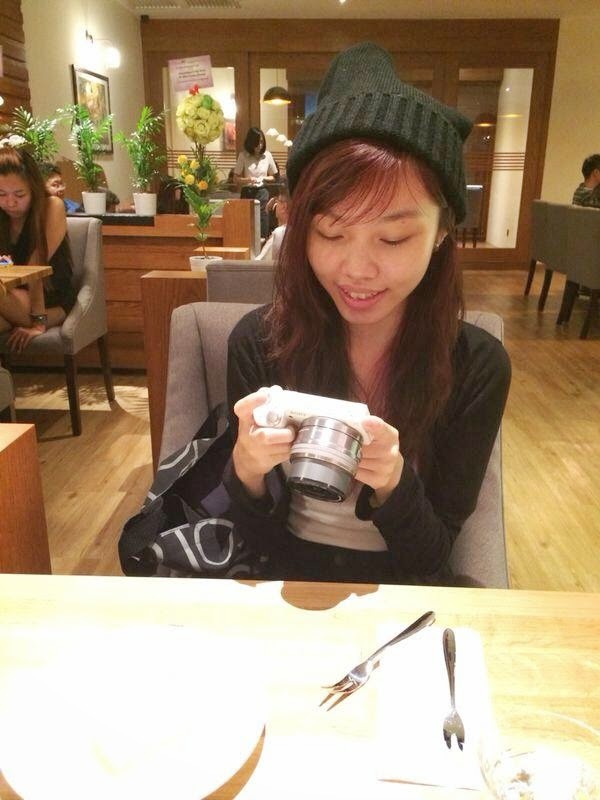 Carinn; carerynn | Malaysia Fashion, Beauty & Lifestyle Blog: Shopping: iPmart Discount Code for You! IHello! If you didn't already know, I just got myself a new camera and it's the SONY NEX 5T! Quite proud of it because I bought it by saving up my part-time job salary and my allowance. It's kind of like a 21st birthday present to myself, first step in becoming an adult means being more independent, including financially. Of course I'm still getting my monthly allowance from my parents, how else am I gonna pay for my meals and rental in KL? XD But I am also holding a part-time role with Carousell now so at least I'm able to relieve their burden even if it's just by a little..
Why am I telling you this? Because.. I got my camera at the start of the month, before iPmart emailed me a discount code. Whaaatt.. A bit wasted lah, but I checked and they didn't have my camera model so I'm not so sad now! XD They do have the latest model of Sony Alpha 5000 though! Dang.. Maybe I should've waited for this model instead, cos they have it in PINK! hehe sudden obsession with pink lately.. It has almost the same specifications as my camera, but with slightly better processor and megapixels, but the main point is hor.. iPmart is selling this camera at a cheaper price than in retail stores! iPmart is Malaysia's largest online gadget shop which delivers gadgets to your doorstep! Not only do they deliver in Malaysia, but they deliver internationally too! All their price are definitely competitive and they only sell authentic products. From mobile phone to cameras to laptops to tablets to accessories and many more from various brands to choose from! So anyway, here's the code for you! You may use it unlimitedly woohoo! 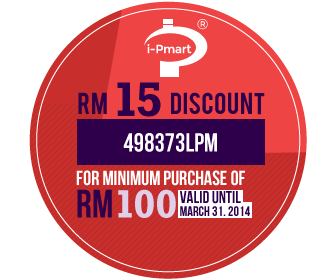 RM15 discount for a minimum purchase of RM100! Expires on 31st March so hurry, guys! For more information, check out http://www.ipmart.com.my/!